Click here for a PDF version of this edition of Here’s My Story. Click here to visit the My Encounter Blog. I was born in Queens, New York, and was educated in Chabad Lubavitch schools in Brooklyn and Pittsburgh. 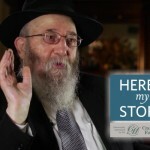 In 1956, after I finished high school, I consulted the Rebbe as to my next step, and he advised me to transfer to the advanced Lubavitch Yeshiva in Montreal. 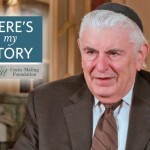 However, my father was opposed to my continuing Torah studies, because he wanted me to work with him in his business. He had a small butcher shop, and he could not afford to hire any workers, so he really wanted me to stay. Not sure what to do, he went to see the Rebbe to talk about this, and when he returned, he had completely changed his mind. In fact, he told me that he would be very happy to see me go to Montreal to study. “Will you permit your son to continue his Torah studies in Montreal?” the Rebbe asked. So this is how it happened that I went to study at the Lubavitch Yeshiva in Montreal, where I remained for seven years. During that time, I corresponded frequently with the Rebbe, confiding what was in my heart and asking his advice. I had planned to fulfill that directive as best I could. On the day we left, I came to see the Rebbe who gave me many blessings for our journey and for the mission ahead of me. He also sent a minyan of yeshiva students to see us off at the airport. I still have a vision of the Rebbe standing on the steps outside 770 and looking after us as we departed. I turned around and I saw Rebbe atop the high step, the wind blowing the coat-tails of his kapota back and forth. It is an image I will never forget. Once we got settled in, I used to write weekly reports to the Rebbe about how the school we set up was coming along, and we would receive responses encouraging my efforts. After we were in Tunisia for two years, the Six Day War broke out, and the Tunisian soldiers were mobilized to join the fight against Israel. 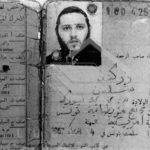 It was a tense time for the Jews – for me as well, especially after I got wind that I was suspected of being an Israeli spy. I asked the Rebbe what to do, and he advised that we consult with Rabbi Binyomin Gorodetzky, who was Chabad’s regional director for Tunisia, Morocco and France. 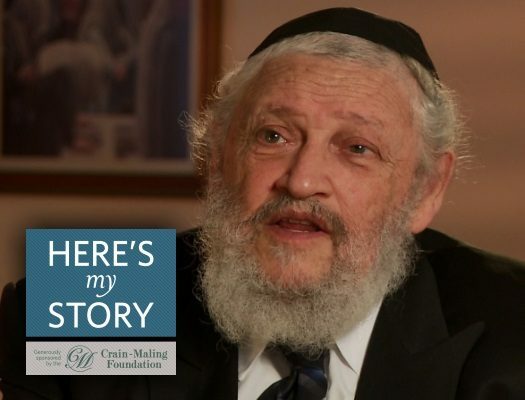 Rabbi Gorodetzky urged me to leave as soon as possible and to take my family with me. So, we packed up our few bags and returned to New York. A year later, I was appointed the Rebbe’s emissary to Quebec, Canada, where I’ve been for almost fifty years, helping to build the Chabad presence. I feel blessed that the Rebbe guided me throughout my different trials and tribulations, taking the time to respond to my questions and concerns. Zaidy Zirkind I miss you. I can’t beleive it’s gonna be a year this Shabbos. HE ALWAYS GAVE ME SOLID , POSITIVE STRENGTH .